Introducing Dr Russell G. Derickson, Polymath, Inventor, Jazz Musician, Academic. I met Russ a year or so back now and am privileged to conduct an interview with him. In my life and career, I have sought both breadth and depth as a guiding theme. All my life I have railed against a single domain of pursuit, something that has met with great resistance over time from individuals and organizations that prevail in a specialist-driven world. But that world is changing. I am trained and experienced in science, engineering, social science, music, and the literary arts, and pursue what I call a Generalist-Specialist path. 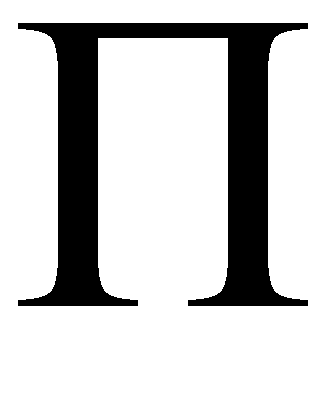 You may have heard of T-shaped and Pi-shaped (like the Greek symbol Π) individuals, who have deep enough breadth to be able to interact effectively with a range of subject matter experts, but also have one area, if not two areas, of subject matter expertise themselves. I aspire to be that sort of person and I keep working on it. The journey is a continuous one. The T bar represents that breath, while the stem represents depth. Similarly for the Pi-shaped individual. An apt description is “jack of many trades, master of one (or more),” which is a contravening departure from the well-known phrase “jack of all trades, master of none” that disparages broad knowledge and skills. I do not choose to be a narrow specialist, but by no means do I feel that specialist roles are not critical in society. Specific jobs I have had include serving as a senior researcher in two national labs in the field of renewable energy; professorships in a technical university in the discipline of atmospheric science and in a business school teaching sustainable products and services; senior and chief engineer in three engineering consulting firms in the fields of hydrology, building energy, and software design; business analyst and information services specialist in a telecom company; and professional drummer and percussionist in concert bands and orchestras, jazz combos, and rock groups. I have also had many years as an independent consultant in a wide range of pursuits. Software I have developed has won national awards and currently serves 95% of the home energy rating market nationally. Other projects and publications of mine have enjoyed international attention, and I recently shared a best journal paper award in the discipline of wind engineering. With four excellent collaborators, I led the paper titled “Coyotes, Jazz, and Creative Teams,” which delved into the essence of creativity and innovation and was presented at the EMSCR 2010 in Vienna. Improvisation – why is this such an important skill in business? Indeed, the basis for improvisation and skill in executing it are achieved only after long stretches of immersion in a field, in which one acquires core knowledge and experience and lots of exposure to low probability events (which by nature happen infrequently). And there are basic frameworks and protocols to follow, at least to a point, beyond which “the rules” can be bent, or broken, with enough experience and acquired wisdom in hand. Furthermore, improvisation is mainly based on prior experience with its use and usually consists of reassembling items in various combinations from a known “bag of tricks.” For example, a close scrutiny of Robin Williams’ performances reveals that he often, if not primarily, puts together combinations of things he has done many times before. Seldom does anything totally new emerge, but there are notable exceptions and they are truly astounding. All of these principles apply equally to business. While on the faculty of a technical university teaching atmospheric science, I was called on by a faculty colleague in the English department to substitute teach in his class while he was gone on a trip. The theme I brought to his class was about improvisation with the title “What to do when you are thrown a curve.” For example, you are about to present a business case to a group of investors, only to discover that a key person in the investor group is missing, or your time slot has been reduced from an hour to 45 minutes because of a sudden schedule conflict. You are testifying to a city council and a new question has just been brought to its attention by some advisory source and you are asked to address it. There are many more such examples. It turns out that a certain level of anticipating such “curves” can be done and prepared for through scenario planning techniques among other methods. But at times you just have to wing it based on years of experience, or in some cases, set your boundaries and request more time or a rescheduling in order to prepare. You talk about teams and dyads – can you explain more? Assuring psychological safety for each team member by creating an environment in which individuals will not feel dumb or incompetent with their current ideas or their introduction of new ones. Let’s look at team size, structure, and communication. Small teams usually work best and there is an anthropological basis for this. Hunter gatherers worked in teams of 5 or 6 maximum. The possible number of communication channels expand greatly with team size. For example, a team of two has one two- way channel, also known as dyadic communication. With three members in a team, there are 3 such possible dyadic channels. With four team members, there are 6 channels, and with five members the number of possible two-way, or dyadic, channels increases to 10. The beat goes on with larger team size, such that an eight member team has 28 possible two-way channels. It gets quite complex with both the sheer number of dyadic possibilities and the attendant process losses for each dyad. Once assembled, a critical component to team operational success resides in effective intra-team communication. From classical quartets, jazz combos, and rock groups, we learn two primary categories of communication that apply to many other enterprises outside the realm of music: verbal and non-verbal. Both the verbal and non-verbal manifest in three ways: as instruction, cooperation, and collaboration. This yields a total of six communication modes. Thoughts on these various modes are the subject of a follow-on discussion. But there is more to the story on team size and operation. Small teams may work best operationally, but may not possess all the knowledge or skill for a given task. Larger teams have the possibility of having more composite knowledge. However, the smaller, more operationally efficient team can establish a process to gather information from outside the team and bring it back into the task. That may mean a simple transporting of outside knowledge, or temporarily including an outside member for a period of time. This and related processes work best if team members have transdisciplinary skills and knowledge. Transdisciplinary means more than cross-disciplinary, in that one interacts not just at the boundary between disciplines in a team of mixed expertise, but has enough knowledge, like the T-shaped person, to make a deeper foray into several other disciplines. It is worth each team member gaining such a skill for best team operation. Not often expressed is another facet of a team. Let me express three categories: low-variance, medium variance, and high-variance teams. This idea comes from my paper “Coyotes, Jazz, and Creative Teams.” Variance is the deviation, or change, from a standard mode of operation or process. An example of a low-variance team is a surgical team, an airline crew, or a manufacturing team. Such a team is not prospecting for novelty or surprise, but is rather operating with a tight set of procedures to ensure success and safety. A low-variance team also trains for emergency contingencies to minimize, if not preclude, the need for improvisation or research. Emergencies must be handled quickly in time and such emergencies as a fire do not “age” well as time moves on. On the other hand, a high-variance team such as a design or research team or jazz combo is prospecting for novelty and surprise and thus operates less rigidly with a fair amount of improvisation. A medium-variance team lies in between. An example would be an orchestra that plays the written score, but adds variance through creative interpretation. Needless to say, each type of team requires different training, management, and operation. Note that while certainly complementary, the individuals of the dyad can have similar skills or quite different ones. That is worth noting. Another key point is that a dyad can lead to a powerful synergy unachievable by the two individuals separately. Or not. Dyads also tend to become unstable and acrimonious over time by virtue of the closeness and persistence of interaction required over long periods of time. Teams of three, the triad, can also produce their own pathologies, more so sometimes that can a dyad. Interestingly, teams of five often report the greatest satisfaction in their operation. But, long live the dyad. I will briefly mention another type of team: the team of one. Please think on that idea for a while and stay tuned for an exposition in the near future. Say something about the seminar series you are planning for the USA? The dyad of Cook and Derickson has schemes to invade the USA with workshop seminars that aim to circumnavigate and then make a direct charge at the processes of innovation and creativity, borrowing from the ethnographies (fancy word for the study of the culture of an enterprise that entails human interaction) of Rock and Jazz. At the heart will be real-time, team-based learning exercises that engage with creativity and innovation, improvisation, and the “taming and harvesting” of randomness. A key aspect will be learning how to uncover knowledge we don’t even know we don’t know (unknown unknowns). Rather than presenting rigid, sequential rules, the seminars will elucidate and incorporate practical sets of guiding principles in the team-based exercises. Importantly, the seminars will entail heterogeneous groups of people from various disciplines rather than from a single discipline. Have you got some takeaway bullet points for readers? There are few, if any, silver bullets. You gotta work at it. This entry was posted in Academy of Rock, Creativity, Innovation, jamming, Jazz, Leadership, Performance, Peter Cook, Rock'n'Roll, Uncategorized and tagged Business, creativity, Dr Russ Derickson, Innovation, Jazz, music, Teams. Bookmark the permalink.